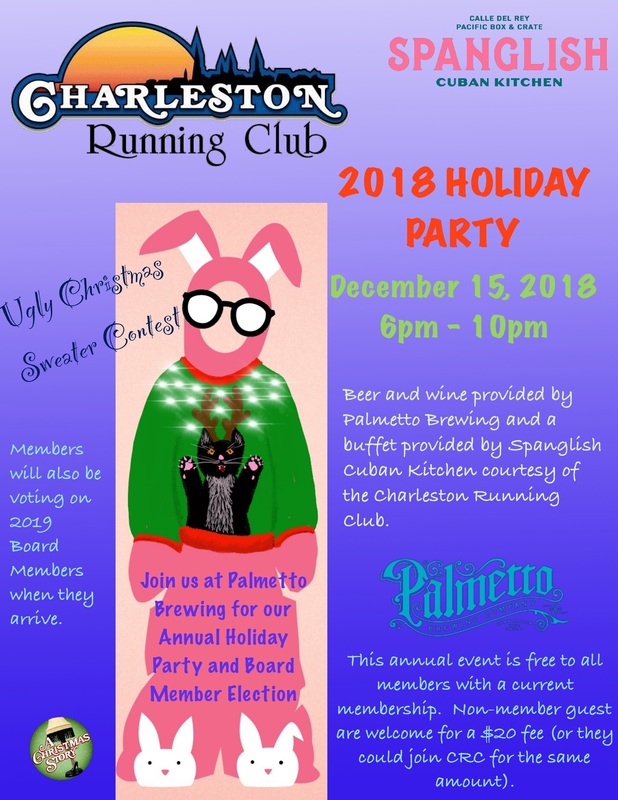 Please join us on Dec 15, 2018 at 6:00 PM at Palmetto Brewing Company for our Annual Holiday and Board Election Party. Beer, wine, and buffet food courtesy of the Charleston Running Club from Palmetto Brewing Company and Spanglish Cuban Kitchen. All current active members and family members listed on family memberships are invited. A non-member guest is permitted for a $20 fee (or you could just have them register in the club for the same amount). We require all members to register for this event who will be attending. Family Members in Family Membership types will need to login with their own accounts and register. If your family is having problems logging in, contact Chad Plasters.